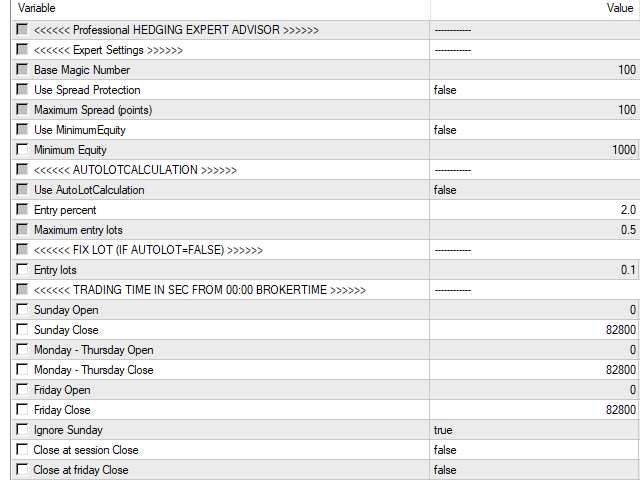 Professional Hedging EA is an intelligent automated Expert Advisor. It is working with many smart strategies and works without any complicated settings. The EA opens a lot of positions, so a lot size of 0.01 is preferred! 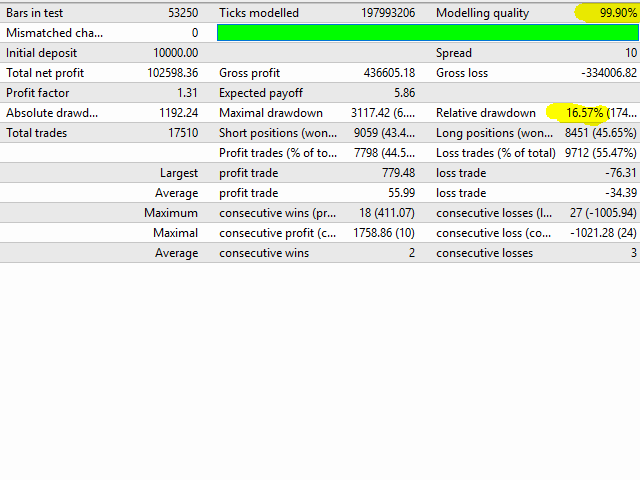 Trade first on Demo account to test. 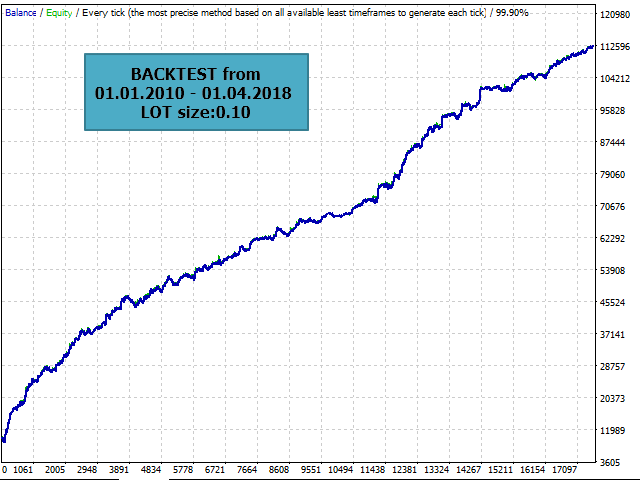 10 years 99% quality backtest with 0.10 lotsize.